Normal Troop Meeting; preparations for Saturday’s troop mobilization drill. Pancake Supper Parents meeting starting ~7:30 during the troop meeting tonight. February committee meeting is Thursday February 21st at 7:30 at the Scout House. All parents and members are welcome to attend. Saturday the 9th, the troop is conducting a troop mobilization drill. This is a difficult requirement for the emergency preparedness merit badge, required for Eagle. See the email from Mr. Stewart for all the details. Scout Sunday is this Sunday at FUMC-Pearland (our charter org!). We have been asked to attend the traditional service at 10:45. Pancake supper tickets are in! Pick up your tickets tonight. Need adults and scouts to sign up. Summer camp registration is open for the Colorado trip. See email from Mr. Ellerbrock for details. Sign up with Mr. Zamora! In 2019, the troop is going to two summer camps. From June 8 to June 17 is Camp Cris Dobbins in Colorado. From June 23 to June 29 is Bear Creek in the hill country of Texas. As a reminder, sign-ups for all of the troop activities are posted on the corkboard in the main room of the Scout House. Come a few minutes early to look through all the exciting activities! There is a new Youth Protection Training (YPT) that all participating adults are required to take before October 1. If you have not taken the new training, yours is now invalid. Pancake Supper Parents meeting starting ~7:30 during the troop meeting on February 5th. Summer camp registration begins in January. In 2019, the troop is going to two summer camps. From June 7 to June 17 is Camp Cris Dobbins in Colorado. From June 23 to June 29 is Bear Creek in the hill country of Texas. Woodbadge registration is open, starting March of 2019. This is the ultimate adult leader training for BSA. Anyone wanting more information can reach out to Mr. Albee or Mr. Zamora. Swamp Base sign-ups are now open! Cost is now $50 for a weekend of canoeing and airboat rides. Registration form attached to separate email from Mr. Ellerbrock. Turn in registration form and money to Mr. Zamora. Nick and Stevie’s Eagle Court of Honor is Saturday the 21st at 12:30 in the MFC. Please RSVP with Mr. Hamlin. Class A uniforms. Don’t forget to bring water. Camp Daniel Boone high-adventure 2nd payment is due tonight! Camp Daniel Boone base camp deposit is due tonight! Base camp and high adventure sign-ups are open for summer camp at Camp Daniel Boone June 10-16, 2018. See the emails from Mr. Ellerbrock. $50 deposit required to secure your spot to either (cash or check only). Next payment of $200 for high adventure trek is due by Jan 9th. Troop Christmas Party is December 19th. Troop Committee Meeting is on Tuesday the 12th after the regular troop meeting starts, in the scout house. Fall Camp merit badge results are in. If you attended Fall Camp, please see Mr. Ashcraft to verify the results. McKinney Falls camp, December 8-10. Patrol and leadership assignments at tonight’s meeting. See Mr. Cooper for more details. Scouting for Food pickup is December 9th, 8 AM at Silverlake Elementary School. See Mr. Hamlin for more details. LEC meetings – 3rd Thursday each month at LDS Church of Alvin, 2700 Lehi Lane, Alvin, TX 77511. This function is open to all Lodge Members. We’ll be loading the trailer with cots for Fall Camp tonight. Please bring your cot to the meeting so we’ll be able to leave Friday in a timely manner. If you are attending Fall Camp, please email Mr. Stewart, Mr. Hamlin and Mr. Ashcraft. We’ll need an accurate head count to make sure we have enough tents! 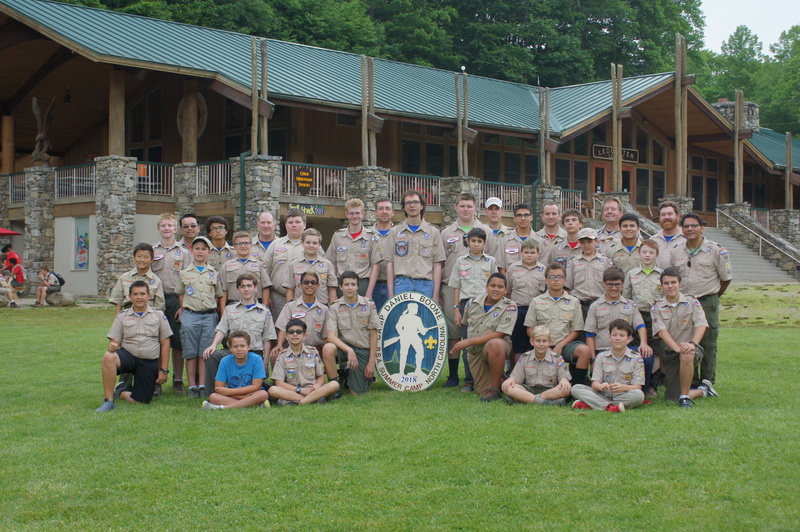 Departure for Camp Karankawa Friday at 6:30 from the Scout House. Come fed and with some money for the camp shopette/Buccees on the return trip. Recharter for 2018 has begun. Renew BSA membership by Nov. 14th. See Mr. Hamlin or Mr. Zamora. Registration is open for Live Aboard the Lexington in Corpus Christi, January 6-7. Cost is $55 a person and payment is due November 14th. See Mr. Pham for more details. Base camp and high adventure sign-ups are open for summer camp at Camp Daniel Boone June 10-16, 2018. See the emails from Mr. Ellerbrock. $50 deposit required to secure your spot to either (cash or check only). Fall Camp at Camp Karankawa sign-up is open. November 17 to 21. The personal management merit badge class that was scheduled for tonight is postponed. We’ll meet again once school resumes. – meanwhile, stay safe! Our next meeting for the Personal Management Merit Badge will be at 7p on Sunday 8/27. We will continue to progress on items 4 thru 10 in workbook. If you or your scout was unable to attend last night, they can still join us. Please print the merit badge workbook and see me for instructions on how to catch up. I’m available on Tuesday night at the scout house if anyone has questions or wants to review. Class B uniforms. Don’t forget to bring water. Deadline for advancements for Fall Court of Honor is tonight. Awards after this date will be included in the Spring Court of Honor. Fall Court of Honor is September 12th. The Troop committee meeting is this Thursday at 7:30. Don’t forget to turn in your family online contract to finish your Cyber Chip with Mr. Ellerbrock. If you are up for rank advancement, you still need to be in Class A uniform for the meeting. Including neckerchief please. Webelos camp out is the 8th of September at the Scout House. Last PLC for this leadership term is the 10th of September. Fall Court of Honor is the 12th of September. Troop elections are the next week. Forms for applying to be in a troop leadership position are available to print out on the troop website. Sign up is open for Lost Maples camp out from October 20-22.